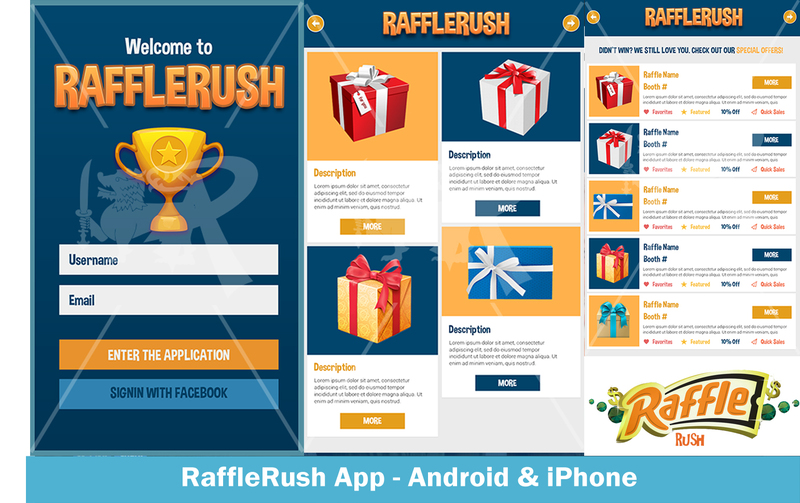 Raffle Rush is a mobile app that allows event attendees the chance to enter ALL the current Raffles/Drawings/and Prizes being offered by vendors and retailers around a Convention or Event. Convention goers/Consumers download app from the app store or snip the download code from the conventions website or posters around the convention. This app is free* to the consumer and profit comes from the vendors and retailers paying for ads and promo space within the app.